Recently Facebook announced that it has added search, which is huge. 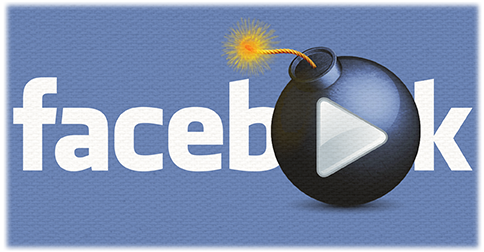 Facebook’s compartmentalized design has adversely affected the distribution of brand videos. Now that you can search any of Facebook’s more than 2 trillion posts, that will all change. You can also filter the search to just see video results which is great. True open search was one thing Facebook needed to do for video views soar. It was also needed to keep advertisers happy. Here are 4 other things Facebook needs to make video the hook that keeps users engaged on their platform. Instead of a news feed that just happens to include video, imagine a video first user experience. A first step could be something that is an optional news feed toggle to just feature video. But what if you could have a more visual alternative to the traditional Facebook news feed? Something more visually driven, a la boards on Pinterest or Instagram. Everyone consumes content differently. More and more, people are leaning toward a more visual user experience. So it makes sense for Facebook to begin treading into an alternative video-centric experience. Unless Facebook begins some sort of system designed to protect content owners, it is going to get burned. They need to create better more intuitive tools to artists and creators. Facebook also needs to vastly improve their Content ID service. You can’t get away with uploading video content that doesn’t belong to you on YouTube. Facebook needs to play catch up here. Brands and creatives need to feel assured that their creative content will be safe. One of the most frustrating things for marketers is the variance of video metrics between platforms. For instance on Facebook, a view counts if it is on autoplay in the news feed for three seconds or more. By contrast, a view on YouTube only counts after the video is clicked to play and remains playing for at least five seconds. Clicking is an action, autoplay while scrolling through a timeline, is not. If Facebook wants to compete with YouTube, it needs to provide advertisers with metrics that can be measured side by side. Only counting views where the user clicked the video to enable the audio would be a step in the right direction. This is not coming soon, but it makes total sense as a next step for Facebook. Think of all the data they are sitting on. Facebook is gathering that data about each individual user with every like and every post about a favorite topic. So imagine brands creating video content with the individual user’s name embedded right in the video. Auto makers customizing videos based on color preferences. Starbucks creating videos of your favorite coffee beverage being made with your name already on the cup. I think with the gold mine of user data Facebook is sitting on, this is coming. Facebook search is not perfect but I’m sure it will evolve in the right direction. It is, however, a step in the right direction to keep users on it’s platform. If Facebook truly wants to rule video, it was a necessary change for them to compete with Google and YouTube. Right now if you want to watch a “How To” video, you go to YouTube. Intuitive open video search is a first step. If Facebook employs the other four things I’ve mentioned here, users will have fewer and fewer reasons to ever leave Facebook. And THAT is Facebook’s goal. What other video marketing changes would you like to see Facebook do? Eric Guerin is the founder of Adelie Studios. He chooses to use his creative powers for good and not evil by helping businesses to better market themselves using animated marketing videos. He can easily be bribed with coffee. Read more of Eric’s posts.